Email marketing is a profoundly powerful digital marketing strategy. It is the process of sending emails to prospects and customers. Efficient marketing emails will convert prospects into consumers. 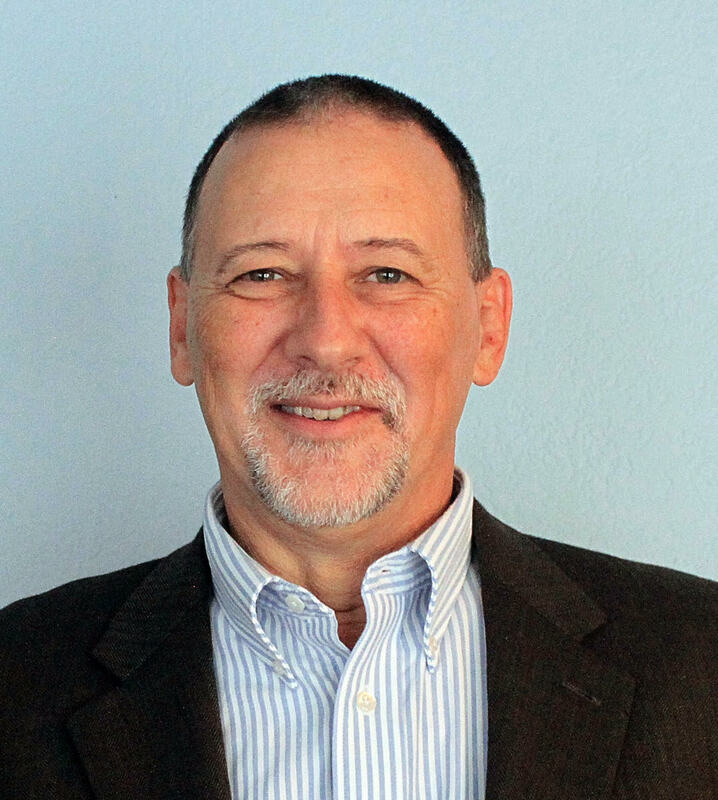 This strategy has the power to turn one-time buyers into loyal customers. Almost three-quarters of consumers (72%) prefer email over other sources of business communication. As well, email has a large ROI. For every $1 spent on email marketing, your business can expect an average return of $38. Email marketing agencies can help your business improve sales and grow its client base. When creating an effective email marketing campaign, it is important to catch your prospect’s attention with an effective email subject line. Remember that subject lines are first impressions, so it is important to make your subject line stand out enough, so potential consumers click. It is essential to keep the subject line short or else it will get cut off, and your viewers may choose not to click on your email. For example, the subject line of an email from Birchbox, a beauty product subscription service, reads: “We Forgot Something in Your February Box!” They did not actually forget to put a discount code in the box but used this clever subject line to get readers’ attention. BuzzFeed also does a great job using email subject lines to capture users’ attention. For example, one of their email subject lines reads: “21 Puppies so Cute You Will Literally Gasp and Then Probably Cry.” Animal lovers are automatically captivated. 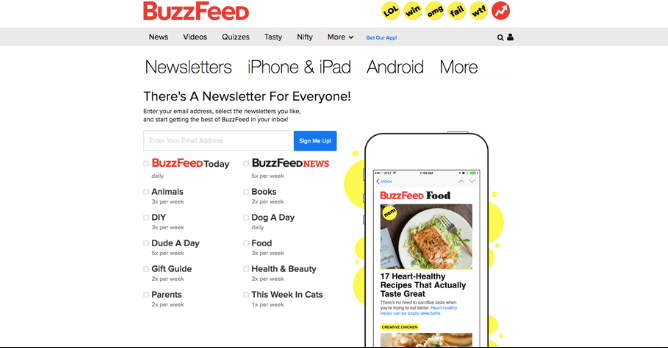 Overall, BuzzFeed’s subject lines preview the text of the email and short and dynamic, similar to the rest of BuzzFeed’s content. This email marketing strategy has proven to be effective for them. Additionally, use a familiar sender name if possible, as this will make your email seem as though it were sent directly from you, rather than as an automated message. Using personalization is also a great way to attract attention to your email. Your subject line should provide specific information on what is inside, but not make false promises about its content. Today, people are constantly receiving spam emails detailing false promises. This is why it is important for your email campaign to feature valuable content in its emails, not just promotional offers. Give readers an incentive to click on your link. You can accomplish this by offering exclusive deals or discounts. For example, if you are a mobile app development company, then you should send periodic emails with updates about your app’s new features. Consumers would find this information important to their own experiences with your app. Additionally, you can include news or data about your industry to provide the reader with background knowledge about your product or service. Every week, InVision will send a roundup of their favorite blog content, their best design links from the week, and an opportunity to win a free t-shirt. They may also include fun survey questions where they crowdsource for their blog. InVision’s newsletter includes a perfect range of content that provides incentive for readers to further explore the company. 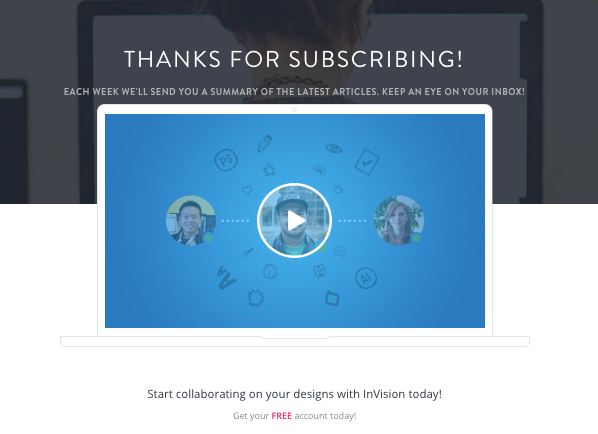 Using the newsletter and email content, InVision generates more consumer interest. 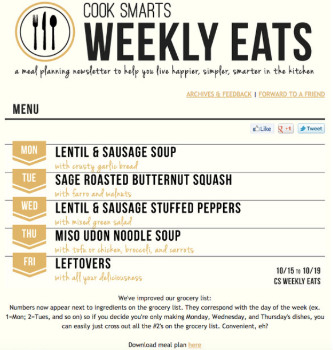 Similarly, Cook Smarts sends users a “Weekly Eats” newsletter. The content of these newsletters includes delicious recipes in the form of a meal plan every week. The layout of their Cook Smarts’ messages features three different sections: one for the menu, one for cooking tutorials, and one for helpful tips. This means readers do not have to take extra time searching through the email for desired content — this layout ensures they know exactly where to look. Also, it may be beneficial to give updates about your company that are relevant to customers. This can entice prospects to seek more knowledge about your company. Lastly, it is essential your marketing emails use personalized language to make prospects feel special and wanted. Using “you” in your emails is notably effective in addition to customizing offers and discounts so the user feels special. You can also tailor the content of the email to what the user has expressed interest in before and reference previous purchases. For example, humans crave personalized experiences. 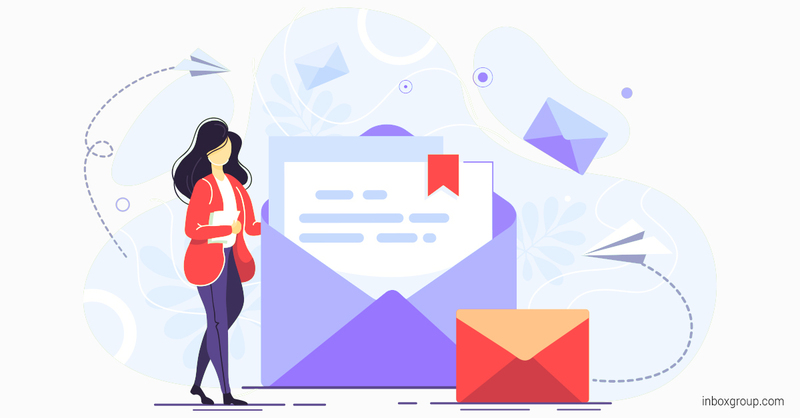 Emails that appear to be created especially for users will make them feel like the company knows them in some way, and cares about their preferences. 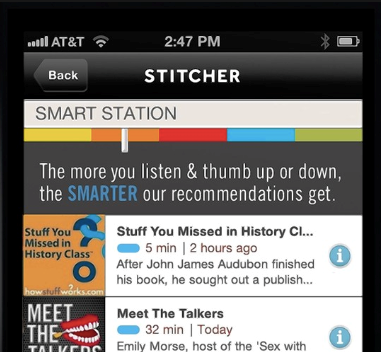 Stitcher, an on-demand podcast/radio show sends “Recommended For You” emails to subscribers. It is hard to get more personal than this. 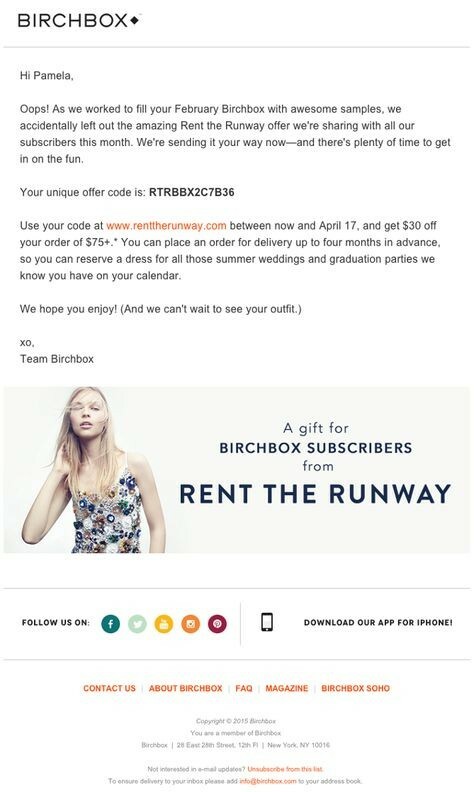 With this email marketing strategy, Stitcher can get users to discover and subscribe to more of their content. Most importantly, however, always greet the reader with their name. This personalized language will be sure to make the reader feel valued and may increase the chances that they will buy your product or service. If you send a personalized message to potential customers, then they feel valued as buyers because your company took the time to cater to their tastes. Emails that begin with a name and reference past buying history have a much higher rate of return. There are specific ways in which your company can write effective emails for its marketing campaign. It is essential you attract attention to your email with succinct and unique subject lines. This will generate clicks on your email, thereby increasing the possibility of sales. Secondly, you must provide valuable content in your email which can include news or data about your industry. Include updates about your company that are beneficial to customers. Lastly, it is necessary for your email to use personalized language. Greet readers by name and by customizing special offers and discounts so the user feels special. Remember that email marketing agencies, like Inbox Group, are here to create effective email marketing campaigns tailored to your company. These campaigns can help your business generate sales and increase its consumer base.